Chuck Wendig's got more projects than he has time. Blightborn, the second novel of his Mad-Max-goes-to-Iowa Heartland Trilogy, came out last week. Starz is developing his novel Blackbirds as a TV show. He's writing comics, screenplays and secret projects. But even with that schedule, he paused back in April to pen a sad blog post about the demise of the World of Darkness MMO. After years mired in development, the cancelled game finally put the ink on White Wolf Publishing's death certificate. Wendig freelanced on White Wolf books for over a decade, mostly on the Hunter line. He credits it with sharpening him up as a young writer. "I learned to write better during my time freelancing," he said in his blog. "I learned discipline with deadlines. I found out what appealed to me about games, story, character, and horror. Really fundamental stuff." But Wendig isn't the only White Wolf alum putting books on the shelves. A half-dozen authors who worked with the company are now publishing fiction. Aaron Dembski-Bowden has written 10 books in the Warhammer 40,000 universe. James A. Moore has written more than 20 thriller, dark fantasy, and horror novels. Mur Lafferty has an ongoing series with Orbit and won the 2013 Campbell Award for Best New Writer. Richard Dansky's second novel dropped last year. The list goes on. While the New York Times recently pointed out how many famous authors honed their storytelling skills playing Dungeons & Dragons, White Wolf's offices had a penchant for turning out fine genre writers. 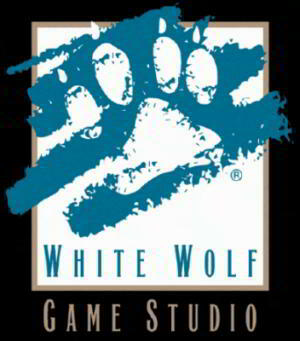 What was it, exactly, about White Wolf? The training? The environment? Smart recruitment? According to the authors, all of the above. White Wolf games focused on story. Their books contained short fiction pieces. The rules set emphasized character struggle. While not itself a course on writing novels, White Wolf games provided an excellent structure for thinking about narrative. "We had an amazing murderer's row of developers while I was there," says Richard Dansky. Now the lead writer on the Tom Clancy franchise at Red Storm, Dansky started in the game industry as a grad student, writing freelance chapters for Wraith while proctoring PSAT exams in a church basement. "The philosophy that I internalized [at White Wolf] was that it was always about the storytelling hooks. We weren't writing our own stories, we were giving players material to grab and run outward from the books with ... the idea was always to give the players and Storytellers something to spark their imaginations." "Writing a novel is about me telling my story, but writing games is about facilitating your ability to tell your story," says Wendig, adding that one is an act of ego, and the other a loss of ego. "But both gaming at the table and writing for games still teaches you some of the architecture of story and character." That philosophy - to give players and Storytellers drama to seize and run with - started at character creation. Every character in the World of Darkness was born into the world with Vices and Virtues, Natures and Demeanors, secrets and hidden agendas. In Wraith each player even had a Shadow or dark side - played by another party member - who would try and lead them astray. It was a perfect laboratory for playing with characters' internal battles and inter-party drama.